Russian Prime Minister Dmitry Medvedev has extended ‘cash for clunkers’ car disposal program that provides discount for new vehicles through 2015 with an extra $80 million, as he says it has significantly helped domestic car makers. "The Resolution extends the utilization program in 2015 - it has twice proved its effectiveness, supported the sales of companies that produce cars in Russia," said Medvedev as quoted by TASS. "We have a suggestion to allocate subsidies to repay part of the cost of buying new cars." The government will also extend the co-financing program for regions to purchase liquid petroleum gas powered vehicles with a further three billion rubles. The disposal program provides a discount of up to $5,500 on a new car after scrapping an energy inefficient old one. The trade-in service (replacing the old car with an additional payment) provides a discount of up to $5,700. The move comes at tough times for the Russia’s car market that is suffering due to the weakening ruble, and a withdrawal of foreigner car makers. The decision to extend the program came from Russian Ministry of Industry and Trade, said its head Denis Manturov. However, he did not specify the amount that will be spent, and how long the extension will last, but said that there would be at least $80 million, five billion rubles, available. According to Deputy Prime Minister Arkady Dvorkovich, the amount available could be doubled to 10 billion rubles. "I think it’s likely to happen in April, but I cannot say exactly. The Ministry of Trade and Industry suggests adding another 10 billion and there is high chance such a decision will be taken," he said. 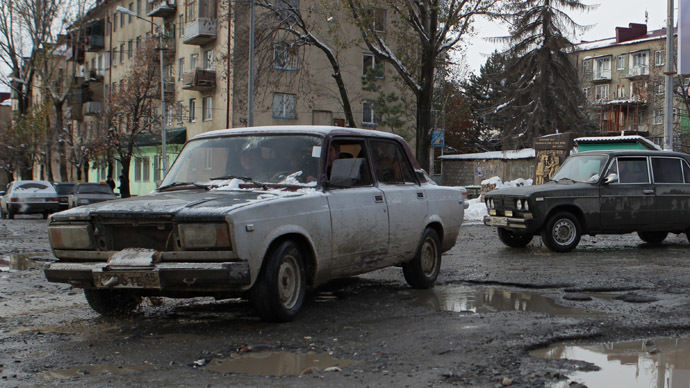 The first ‘cash for clunkers’ program started in Russia in 2010 and ended in 2011. As a result, 489,000 domestically produced cars were sold at a cost to the government of $260 million, or 16 billion rubles. The program was re-launched in January 2015, but since the beginning of the year only a little more than 16,000 cars have been cashed in, according to the Ministry of Industry and Trade. In total 9,600 cars were scrapped, and 6,400 were traded in. There are 15 car producers participating in the program.